The moment when Siegfried Kracauer knew that he wanted to write of film as what he terms the ‘Discover of the Marvels of Everyday Life’ is relayed in his introduction to the Theory of Film from 1960.1 Kracauer recalls watching a film long ago that shows a banal scene, an ordinary city street. A puddle in the foreground reflects the houses that cannot be seen and some of the sky. A breeze crosses the site. The puddle’s water trembles. ‘The trembling upper world in the dirty puddle – this image has never left me’, writes Kracauer. In this trembling, which is the moment of nature’s uninvited intervention, its inscription as movement on film, everything, from nature to culture, ‘takes on life’, he notes. What is important about film is its presentation of this given life indiscriminately. The puddle, this unworthy spillage, is redeemed in the low art of cinema. Both cinema and puddle are elevated from the ground. The upper world is brought down to earth as image. Fixed for ever – or for as long as the film strip exists – is a wobble of movement, which comes to stand in for what is life, because it is life captured, being nature’s vitality. It is a life that is possessed by the wind and articulated constantly, but usually expunged from what is to be seen when film is watched. It is a fact, a chip of the world as it is, and it is caught on film or amidst film and the staged world. Walter Benjamin, in a piece titled ‘Paris, the City in the Mirror’, written for the German edition of Vogue, on 30 January 1929, makes a similar point in relation to photography. In discussing Mario von Bucovich’s volume of Paris photographs from 1928, with its images from Bucovich and Germaine Krull, he posits photography as a mirror of the city. The collection by Bucovich and Krull, he notes, closes with an image of the Seine. It is a close-up of the surface of the water, agitated, dark and light with a hint of cloud broken on its ripples. It seems to him that this reflecting surface is a reflection of photography itself, which is as rightfully there, in the city of looks and looking, as the River Seine, which shatters all images, like a committed montagist, and testifies to the evanescence of all things. Nature, the river, the wind, the clouds passing by all intervene in film, all leave a documentary trace that is seen and not seen at once. Fragments of the world are caught in the grains of the photographic papers. Recorded are both those things that are meant to be seen and those that simply are. Benjamin’s analysis of Soviet cinema, in critical response to Oskar A.H. Schmitz, twists a sense of enlivened nature, which happily makes itself available for filmic recording, into a more directly politicized physis of the collective labouring body. For him, in his experience of Soviet cinema, there is the entry into film of something not previously bidden into culture and not previously captured in it – the worker, or rather the proletarian, who is part of a collective – set in equivalence to the material nature that marks itself on film, outside of the filmic scenario. An image in Benjamin’s retort to Schmitz makes this graphic. It is not the wind blowing a puddle, or the reflection of a cloud in the river, caught and remediated on film. It is the labouring body exposed in the stark streets. The film strip absorbs the strip of the road. A place of collective suffering, the street where battles occur, just as the daily grind of life occurs, is given room on the screen. The modern shiny surface of the asphalt road, described elsewhere by Benjamin as a momentous component of the bourgeois city and the bourgeois self, which, like other shiny surfaces, such as windowpanes and mirrors, and the camera too, reflects the city and its residents from many angles. City and residents are fragmented and multiplied, generating feelings of disorientation and loss. Like the running script of a twenty-four-hour news channel, engravings of a modern type, the cinema gives this type and this sensibility a place, a corner of the screen. Entering too into film are the spaces of this collective. For Benjamin, movement is the key to cinema, but it is not an endless movement or ‘the constant stream of images’ so much as ‘the sudden change of place that overcomes a milieu which has resisted every other attempt to unlock its secret’. It is in relation to this that Benjamin characterizes the locations of cinema, which cannot remain unchanged by the camera’s remediation of them. The passage is well known. The world is ‘laid open’ and viewers come away with an enhanced knowledge of the structure of actuality through exposure to a prism in which spaces are represented with various types of intensity and fullness, and through which they are led by proletarian heroes, who emerge from and back into collectives, human and spatial collectives. Cinema detonates a ‘prison-world’ – the spaces of this world, his world, are also prison spaces, but the jail can be broken from, filmically, as a first step. Audiences penetrate the secrets contained even in very ordinary reality, once it has been fractured into shards. But those shards are the material of the world, seen from all angles, in close-up, through the fragmenting material of film and its apparatus, and each shard is set next to other shards, other scenarios, and perhaps wordlessly, just as Jan Tschichold and Franz Roh proposed in their volume foto-auge/oeil et photo/photo eye, published in 1929. For example, a photograph by Sasha Stone of alphabetized index cards in a filing cabinet, titled ‘Files’, was placed next to an image, owned by the chemical concern IG Farben, of people relaxing on a beach. The meanings of each – work, leisure, mass society, loss of individuality, public, private, surveillance, bureaucracy – was modulated by the other. The aura of actuality, the moment of the film or photo, or montage, its absorption into its material of all the contradictions and absurdities of the present, and thereby much that is unbidden, unintended, comes to the fore. Spaces relate to other spaces that have until now been kept apart. Like photography and film itself, meeting its viewer halfway, these new dimensions jut out into the environments of those who take them in their hands. The films that draw Benjamin’s attention because of their novelty and legitimacy – Battleship Potemkin, Mother, and possibly the film that kindled Kracauer’s interest in film – were not documentaries. They were documentary only in the sense that for Benjamin, as for Kracauer, their basis was in the documentation of actuality that is film and photography. Still Benjamin considered Battleship Potemkin in relation to ‘facts’. The fictional actions of the sadistic ship’s doctor become interesting if facts and statistics can establish that this is not an individual aberration but a portrayal of a social reality in which brutal state and brutal medicine are intertwined and have acted so since the Great War. The fiction caught on film must not be severed from the one in the world that backs it up, becomes its legitimation and makes of it fact. This sets Benjamin’s sense of things in 1927 as a theoretical precursor to Brecht’s later experiment in fiction and actuality, Kuhle Wampe, or To Whom Does the World Belong?, in 1932. That Brecht’s interest was in the way in which fiction may lead towards and not away from social fact was understood, to Brecht’s bemusement, most clearly by the German censor. The film reflected on notions of collective practice – in terms of its production – and in relation to a wider extra-filmic world, in that it relied on the existence of a mass communist and labour movement that were both the audience and stimulus of the film, as well as providing some of the actors for it. The episodic form, the montage and the detached acting style all contributed to a sense in which the film was not about a particular fictionalized individual but rather about the destiny of a collective, a class. In a note on a meeting with the censor, ‘A Small Contribution to the Theme of Realism’ (1932), Brecht explained how the censor had well understood the film’s intent in depicting the suicide of an unemployed man. A young man, after having gone on a futile quest for work, competing against myriad other young Berliners, takes off his watch, the single thing of value on him, and steps off the window ledge of the family’s wretched apartment. This is all done noiselessly, undramatically, in a detached fashion. The censor protested that it did not depict suicide as the abnormal act of an unfortunate individual, but rather, in its impersonality, made suicide seem to be the doom of an entire social class. Brecht and the film company were caught out, and by ‘a policeman’ of all people. Made perceptible in a certain mode of fiction were the actual pressures brought to bear on a class. Drama was simply a pretext for social fact, and social fact on a mass scale at that. The Soviet film-maker Esfir Shub worked with a sense of film as conduit to a reality outside of film, which it captures and mobilizes – whether fiction film, documentary or whatever scrap. Film is a piece of actuality, something that could yield knowledge about what exists, once it is deployed in the right way. It is this physically, in that it has absorbed something of a world that passed before it and that may even have been caught unintentionally on the strip. It is this ideologically, in that it has absorbed something of the times and circumstance in which it is made and carries that into the future, where it can be undermined or enstaged. It is this generically, in that film offers itself as an artform in which the facts of the world may be – though not necessarily – reflected and dealt with. All film emerges from the realm of the real, even when it is at its most fake. Film is a material, a raw material ripe for processing. The film is the thing that builds the filmic world and is the thing that is seen. Of course, it is hard to see Esfir Shub because of her authorial anonymity, her use of found footage, grainy, second-hand materials, gathered strips made by nameless filmers. Shub was an editor of films. Or perhaps someone whose labour on film did not even have a name, for she was not simply an editor in the way that many other women were, in terms of their job description, engaged in sorting shots, cutting the negative, but not making even a rough cut of the film. In her work, she did something else. Her editing work for the Soviet film industry from 1922, re-editing and re-titling foreign films, such as Fritz Lang’s Dr Mabuse, Der Spieler or trashy American serials, so that they might become ‘ideologically correct’, involved more than just being an editor. Hers was a key cultural role: in 1924 over 90 per cent of films shown were produced in capitalist countries. In these years of the New Economic Policy, many films were imported. Shub worked on a politically and economically viable solution to a materials crisis, and she learnt how to montage films, producing new meanings from old stock, re-channelling ruling-class ideology. She carried this work over into her own practice as a film-maker, in which she developed a form that predates the canonic essay-film form, but that establishes film as a vehicle for proposing arguments. It does this by amassing fragments of the fictional and non-fictional, drawing together disparate spaces and times, chasing conceptual elements suggestively, by dislocating images from their allotted places, establishing a thematic line out of the disparate, and asserting a directing intelligence, but one that is to be shared by all who watch, as much as by the editor. Shub’s film The Fall of the Romanov Dynasty was made in 1927, as part of a trilogy on Russian history from 1896, when Lumière filmed the coronation of Tsar Nicholas II. It was one of several films made to celebrate the tenth anniversary of the Russian Revolution. It is said that the Soviet film body Sovkino initially refused to acknowledge her authorial rights and pay the royalties that would duly accrue. She is credited on the poster as follows: ‘Work by E.I. Shub’. What was that work? Shub’s film reconstructed critical history out of many metres of newsreel footage and Romanov home movies. Documentary film of whatever type – news, scientific or industrial footage, home movies – could yield information about reality. Shub’s ‘compilation film’ showed the tsar and family at their summer home and on duties of state, the carnage of war and Lenin agitating. For this film, and for the other two ‘compilation films’ she made in the late 1920s, Shub had to amass materials that had, in many cases, been taken out of the country, sold to foreign producers, or had deteriorated under poor storage conditions. For her film covering the first ten years after the October Revolution she was compelled to respond to the monotony of much film produced in newsreels in those years: parades, official celebrations, meetings, delegates arriving, stock that evades all the drama of political reconstruction. To compensate, she shot images of old documents, photographs, newspapers and objects. That this work was only or was blandly ‘work’ is the ‘problem’ attendant on working outside an authorial, directorial mode. But there is, of course, a perfect meeting of Shub’s reuse of found footage, her labour or arrangement or compilation of something conceived as ‘raw material’, and the ideas prevalent among the circles of the Left Front of Arts, the avant-gardist and pro-revolutionary groupings that had surfed the ecstasies of revolution and clamoured for a role in state-building through the arts. They argued that the author was a producer, or more, the author should be effaced, in the collective labour of socially and technically produced and reproduced works of culture. Shub more than others knew what it meant to be anonymous, to genuinely work within the model of the collective, author, the author as producer, the author who rejects all the bourgeois bunkum about creativity, genius and originality. Shub’s more famous colleague Sergei Eisenstein had paid lip service to this, in a polemic against Bela Balázs. Eisenstein writes: ‘His terminology is unpleasant. Different from ours. “art”, “creativity”, “eternity”, “greatness” and so on.’  Eisenstein, for his part, broke with the grouping around LEF in March 1929, precisely over questions of personal style and authorship. Eisenstein was too much the artist. Eisenstein placed too much of himself in the film. Eisenstein made his films about Eisenstein’s eye and sense of things. As proof of this stood Eisenstein’s celebration as a film-maker in Europe and the fact that US studios sought him out, keen to import a little higher art into their venues. But Shub’s work did something more than articulate the anonymous, collectivized art worker or engineer, and in so doing sent into relief the practices of another, more prominent documentarist: Dziga Vertov. Shub’s approach signalled a new approach to documentary, overturning the highly montaged, artistic, formalistic documentary films of the early period, as practised by Vertov. Vertov had worked with found footage in 1918, in his Anniversary of the Revolution, and in 1921 in History of the Civil War. But he moved away from the practice in the main. Shub objected to Vertov’s efforts to monopolize non-fiction film, insisting in a piece written in 1926 that ‘different facts must reach the studio’, not just those endorsed by the Futurists working within Vertov’s Kinoks or Cine-Eye. Vertov deployed all manner of tricks and technical devices, derived from the fragmented and dynamic world-view of Futurism, in order to emphasize cinema’s role in mediating reality. Shub’s archival work rescued fact from oblivion and made it speak again in a new context and not to questions of cinematic self-reflection. In her use of archival and documentary footage, or what she called ‘authentic material’, Shub displayed her commitment to the fact, the fact that had become a fetish among the LEF people, who spoke of their work in terms of ‘documentarism’ or ‘factography’. The later 1920s, perhaps under the pressure of waning revolutionary dynamism and conscious of questions of state building, seemed to demand a new aesthetic, which was then matched by Shub. Shub’s was seen to be properly a ‘cinema of fact’. What is a cinematic fact? This was a question that was asked and answered in relation to Shub’s projects. It was a debate that took place in the pages of the journal Novyi Lef, where one contributor, Sergei Tretyakov, opined that ‘the degree of the deformation of the material out of which the film is composed’ was tantamount to ‘the random personal factor in any given film’. The raw material, the facts that are absorbed by the celluloid strip of the camera, should come before the eyes of the audience as undeformed as possible. The cinematic fact was to appear in as ‘undistorted’ a form as possible. Such a fact is seen to be a building block of a new reality that needed stability after the dynamic change of revolution. Such a fact is like a weapon in the hands of a party entrenching its power and desirous of conveying the upward soaring truth of the young Soviet Union. Shub, it is true, avoided playing with the film material, tending often to let chunks of found film run their course. She gave time to her material, but not simply so. There was a sense, though, in her work that the film material was of historical interest in itself and did not need to be undercut and criticized through cinematic devices. The commitment to the fact did not imply that any other questions of film were irrelevant. Shub in her capacity as editor worked on questions of compilation, which were questions of montage and rhythm. Connections between events and their interpretation were expressed through juxtapositions, as well as through the times attributed by editing and also through inter-titles. The whole builds up. The whole has direction and compiles an argument that can be seen and borne in mind. It becomes essayistic. Shub wrote that her own ‘emphasis on the fact is an emphasis not only to show the fact, but to enable it to be examined and, having examined it, to be kept in mind’. To watch a film by Shub was to watch reality pass by, moulded, made into concept and argument, a comprehensible concept and argument. Shub was not averse to arguments about skill and even the rhetoric of masterliness. Indeed in 1927 she titled an article ‘We Do Not Reject the Element of Mastery’. The facts, like any raw material, need shaping. Shub’s work takes the fact and deploys it skilfully. Her work is planned, and that, of course, at a time when plans are becoming more the focus of political rhetoric and energy. Shub’s relationship to the archive, the place of her raw material, might invite parallels with a bureaucratic approach – congruent with the times – examining the files of reality for evidence, sorting and classifying it for further eyes to pore over. The LEF circle recognized her abnegating act of editing. She also carried out the work of organizing the archive, thereby bequeathing a raw material to those who came after, to all the other films that could be made from it, all the other meanings that might be extracted from this raw material of the real. That was a further service to multiple authorship. 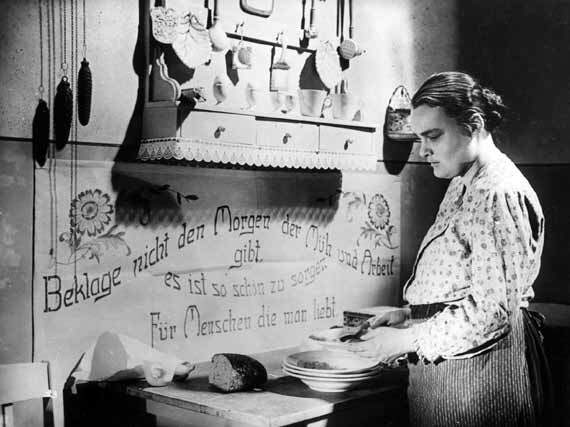 Eisenstein feared that naturalistic sound could destroy montage, and insisted that it be treated as an element of montage – in a way more congruent with the later essay-filmmakers. Shub disagreed, insistent on its importance as an experimental element that remained realist. It was real in the way that Hollywood’s sound system, developed for studio recording not location, was not. It was sound occurring in the spaces where such sounds occur. Everyone is learning in this new authentic sound world. As the script notes: ‘We place our cameras in front of the window, we arrange the microphone and explain to Comrade Klyazin where he should stand’, in order for his voice to be heard as he asks his questions of the three sisters. This is a film about voice, about speaking the self authentically, though what is authentic is also a matter of history and development. For we hear from Shub that the communist sisters are used to speaking at conferences and therefore talk briskly, while the religious one is more embarrassed. This sonic discrepancy, though, this mark of experience in voice and rhythm, ‘will help us’, she notes, ‘to keep the conversation alive’. We hear examples of the questions the sisters will be asked – ‘The Fascists claim that women must be involved only with the kitchen, the church and children. Do you agree with this?’ Shub writes:We suspect that their answers will be keen and direct. To achieve this, Comrade Klyazin’s questions must be spelled out in such a way that they reveal both the real life and psychology of a typical woman working in the Soviet village. If we succeed, it will be the first direct film interview with the new woman farmer in the USSR. Therefore it has to be done in such a way that the conversation does not look contrived. All we can predict at this moment is that the interview will end with the words: ‘ … now, would you take us to the Selsoviet?’As if as a nod to the role of staging in all this, the final scene of part one takes place in the main offices of the Selsoviet, the rural council. A girl is calling for a revolt, bored with life on the collective farm. Arguments are happening. But, it transpires, it is a drama rehearsal, just a play for the collectives’ theatres, in which the language and appearance of the youth, who are urbanizing, and the traces of peasant language still spoken on the collective farm battle it out. This is a documentary, a capturing of fact that has been shaped by Shub’s concepts, with elements that must be imported from art in order to make ideological sense of the reality which otherwise unfolds. Improvisation can be improved upon, in the name of a larger, greater improvement. Perhaps a negation of the negation is achieved through this. Film never stops being a document, even when it is most fictional, or especially then. The rotten cinema of Weimar, Hollywood and Imperial Russia could have truth squeezed from them, if rightly framed, and so too can the film that moves between fact and staging. The document can supersede all – even the fiction film, even the staged film, is a document of something and if it can be documented, and its factographical powers unleashed, in the interests of the larger history, which is one that is being built, planned, constructed, then it will produce an authentic cinema. In 1932, Shub’s film on the communist youth bared the means of the cinematic device, by leaving cameras and microphones visible in scenes, but it also left in the stumbles and stutters of participants, or shone so bright an arc lamp into their eyes – so assaulted their bodies – that their eyes screwed up. The material of film and cinema directly confront the material of the collective body. The artifice of cinema leaves factual traces on the cinematic subjects. Shub exposed this. In the film script for Woman she notes that the play in the Selsoviet represents a ‘conflict between the urban appearance of the village Komsomol youngsters and the quasi-peasant language the author of the play forces his characters to talk’. The fictionalizing author brutalizes reality, but this is the struggle in play in reality too – the traces of the past that must be re-spun for new meanings to arise from them, new accents to develop out of them. This is what Shub wants to show. It is not that she finds a middle path between Vertov’s Kinoks and cinema of fact and Eisenstein’s staged films; rather, in confronting each mode openly with the other, she makes a third term, another thing, that, among other things, beats out a path for the essay films, or the essay film genre to come. 1. ^ Siegfried Kracauer, Theory of Film: The Redemption of Physical Reality, Princeton University Press, Princeton NJ, 1997, Intro., p. li. 2. ^ See Walter Benjamin, Gesammelte Schriften, Vol. IV. , Suhrkamp, Frankfurt am Main, 1991, pp. 356–9. 3. ^ Walter Benjamin, Selected Writings 1927–1930, Vol. 2:1, Harvard University Press, Cambridge MA, 2005, p. 18 (translation modified). 4. ^ Ibid., p. 17. 5. Ibid. 6. ^ Ibid., p. 18. 7. Benjamin, Gesammelte Schriften, Vol. IV. , pp. 448–9. 8. ^ Benjamin, Selected Writings 1927–1930, Vol. 2: 1, p. 19. 9. ^ Bertolt Brecht, ‘A Small Contribution to the Theme of Realism’, Screen, vol. 15, no. 2, 1974, pp. 45–7. 11. ^ Cited in Martin Stol ery, ‘Eisenstein, Shub and the Gender of the Author as Producer’, Film History, vol. 14, no. 1, Film/ Music (2002), p. 90. 12. ^ Esfir Shub, ‘The Manufacture of Facts’, in Ian Christie and Richard Taylor, eds, The Film Factory: Russian and Soviet Cinema in Documents 1896–1939, Routledge, London, 2012, p. 152. 14. ^ Quoted in Mihail Yampolsky, ‘Reality at Second Hand’, Historical Journal of Film, Radio and Television, vol XI, no. 2, June 1991, p. 163. 15. ^ Christie and Taylor, eds, The Film Factory, p. 187. 16. Ibid. 17. ^ Vlada Petric, ‘Esther Shub: Cinema is My Life‘, Quarterly Review of Film Studies, vol. III, no. 4, Fall 1978, p. 434. 18. ^ Christie and Taylor, eds, The Film Factory, p. 187. 19. Despite her criticism of other film-makers – a product of the exciting culture of debate in the young Soviet Union – Shub acted in solidarity as Stalin’s cultural policy tightened its grip. In 1931, while filming in Mexico, Eisenstein was accused in the Soviet journal International Literature of ‘technical fetishism’ and other ‘petty bourgeois limitations’. Shub wrote to him with warning of the increasingly hostile climate and recommending his swift return. 20. ^ Cited in Petric, ‘Esther Shub: Cinema is My Life’, p. 431. 21. Cited in ibid., p. 449. 22. ^ All citations are from the film screenplay or treatment as translated in Petric, ‘Esther Shub: Cinema is My Life’. 23. ^ Cited in Petric, ‘Esther Shub: Film as a Historical Discourse’, in Thomas Waugh, ed., ‘Show Us Life’: Toward a History and Aesthetics of the Committed Documentary, Scarecrow Press, Metuschen NJ, 1984, p. 34.